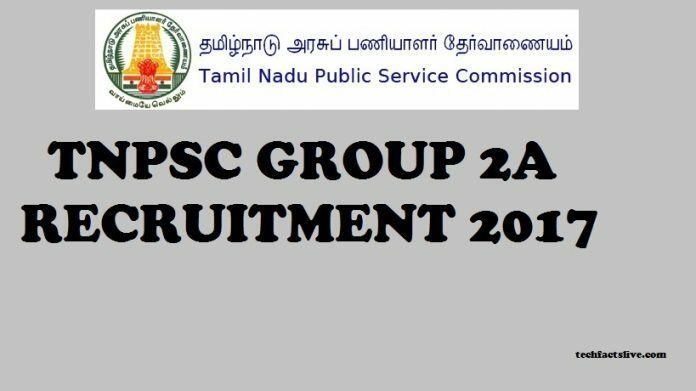 TNPSC Group 2A Recruitment 2017 released. The Tamil Nadu Public Service Commission published the notification of 1953 Non-interview Personal Clerk Assistant posts. Candidates who are looking for government jobs in the state can start their application process. The Commission has made the TNPSC Group 2A Services Apply Online link available on the official website tnpsc.gov.in. Before applying, candidates have to read all the instructions that are furnished in the official Tamil Nadu PSC Group 2A Notification and have to check the eligibility details. Those who submitted the online recruitment application form incorrectly or after the last date shall be rejected. Candidates have to note the application process can be done through online mode only. Tamil Nadu Public Service Commission is the state organization which was formed by the Government of India. It is responsible for holding the recruitment process and for selecting the highly-skilled candidates for various government departments. Recently they published the TNPSC Group 2A Recruitment 2017 against the Advertisement No: 10/2017 to fill 1953 vacancies of Non-Interview Personal Clerk Assistant posts and the made the apply online link on tnpsc.gov.in up to 26th May 2017. Moving to the acceptability details, the educational qualification of candidates should be completed Bachelor degree in relevant stream from any recognized university. Aspirants can check the post-wise eligibility from the official Tamil Nadu PSC Group 2A Notification. All the applying candidates should attain the age limit of minimum 18 years and maximum 30 years. Age relaxation is applicable for reserved candidates. Candidates have to pay one time registration fee of Rs. 150 and examination fee of Rs 100 for General/OBC candidates and SC/ST/PWD candidates are exempted from examination fee. The selection process will be done based on written exam. All the qualified candidates will get pay band of Rs. 5200 to Rs. 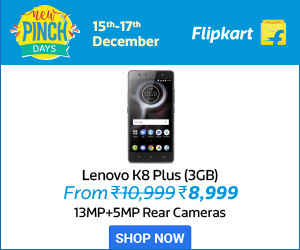 20,200 with a grade pay of Rs. 2800. Go to the official website tnpsc.gov.in. Click on TNPSC Group 2A Services Apply Online link. Enter all the mandatory details in the provided fields. Click on submit button and download the application form.